A sensually engaging afternoon featuring distinctive botanical elements by Vanessa Partridge and Caris Haughan of Prunella, with truffle dishes by chef Damian Sandercock from Piper St. Food Co. Imbued with the luxury of that most mysterious and exotic of foods, the truffle, this masterclass will demonstrate how you can create an indulgent yet intimate event including an exciting original Prunella installation and a sumptuous tablescape laden with a feast of truffle-focused delicacies. Witness Damian’s virtuosic culinary skills as he prepares a tailored seasonal menu on his AGA oven and stovetop, featuring truffles as the hero ingredient. At the end of it all enjoy a delicious meal together in the earthy winter setting you will have helped create. The French Revolution storms the intimate surrounds of the Prunella botanical studio as Damian Sandercock, chef from Piper St. Food Co. creates an inspired French Feast celebrating the culinary excellence of that beautiful, beloved country. Let Damian transport you to post-Revolutionary Paris, honouring the birthplace of the restaurant as we know it today. With help from your hosts, Prunella’s Caris Haughan and Vanessa Partridge, the studio will be transformed into an intimately chic Parisian bistro for this exclusive, one-off event. Join us for canapes, a beautiful 3 course dinner and wines selected by Scott Banks of Banks Fine Wine. Prunella’s Vanessa Partridge and Caris Haughan, and chef Damian Sandercock from Piper St. Food Co., invite you to join them for an exclusive afternoon of flowers and food. 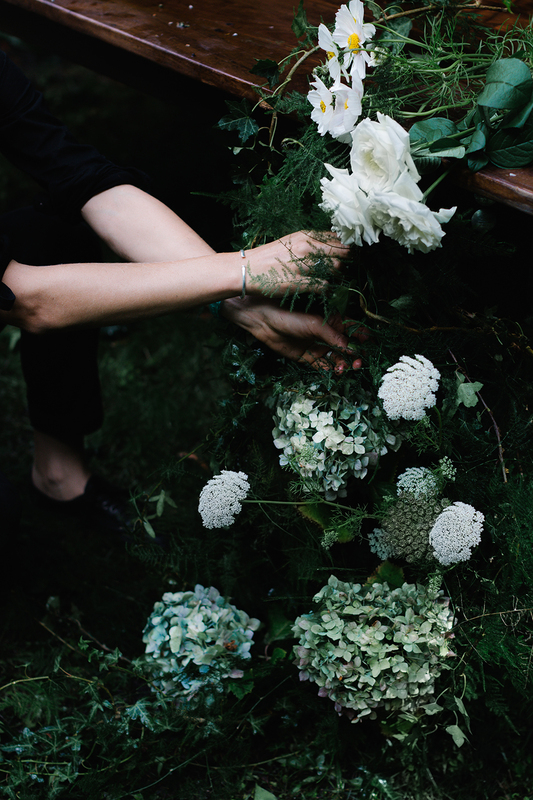 Inspired by dark European fairy tales and moody Dutch masters still-life artworks, this masterclass will show you how to use seasonal florals, a thrilling menu and sleek styling to create an exciting, intimate event. You will learn the secrets to creating a feature Prunella botanical installation and tablescape bursting with individual style and culinary delights. As he prepares an indulgent menu, Damian will share traditional hands-on techniques while using his classic AGA stovetop. Celebrate the fruits of your labour as you enjoy a delicious meal together with your hosts in the magical wonderland you have created.